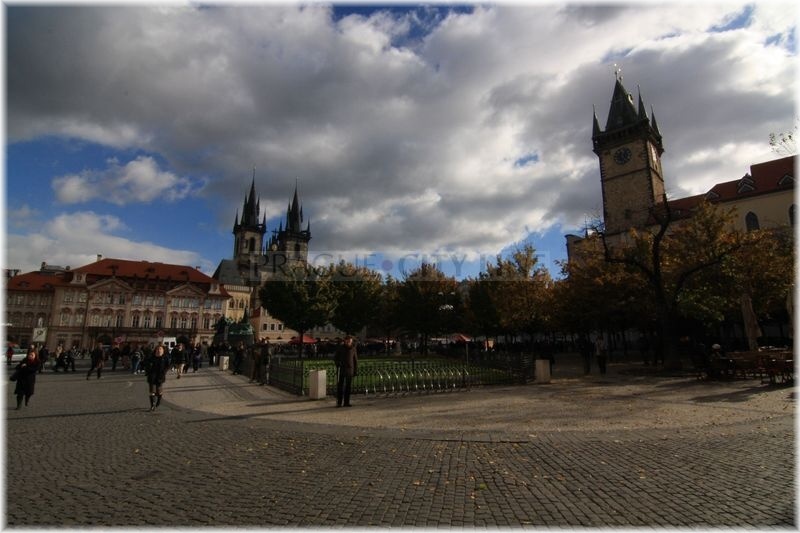 Staroměstské náměstí (Old Town Square) is a place where numerous events of a great importance for our country´s history had taken place. 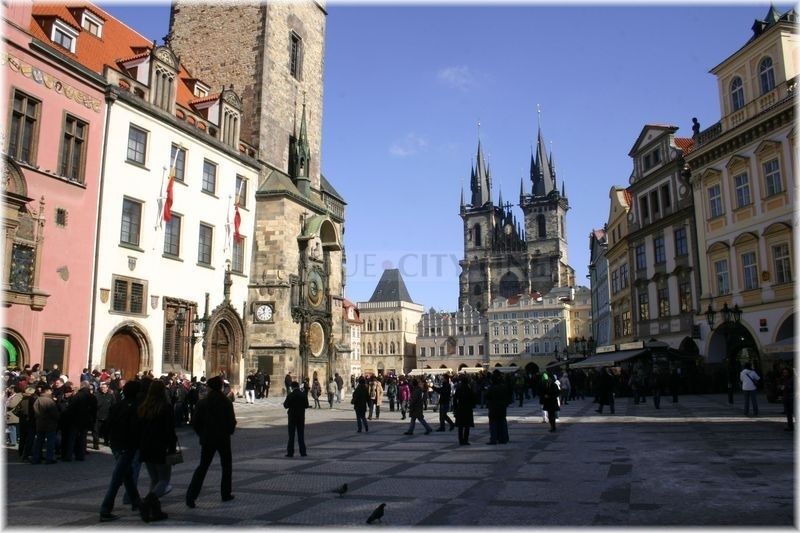 Do you know what the crosses in the pavement close to Staroměstská radnice (Old Town Hall) stand for? 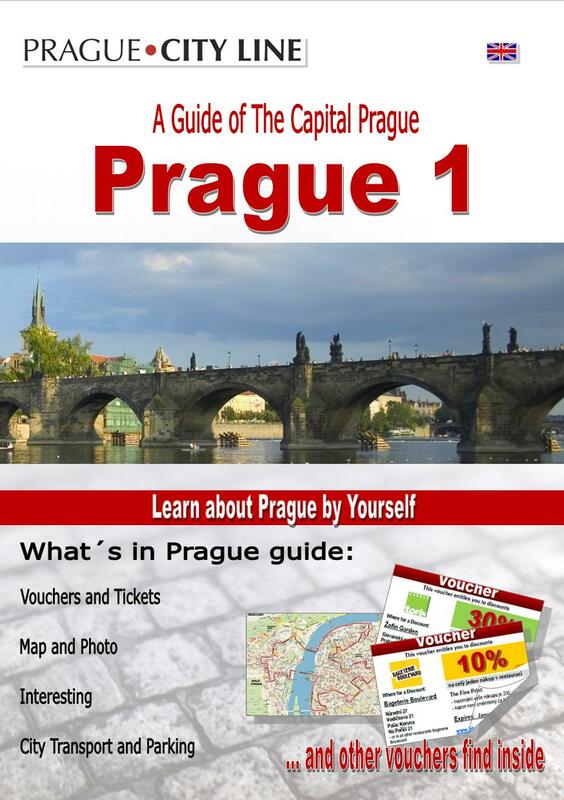 Let´s learn more about the history of the Hussite period and the Bohemian (Estates) Rebellion. In 1483, during the reign of Louis II (Jagiellon) (czech: Ladislav II. 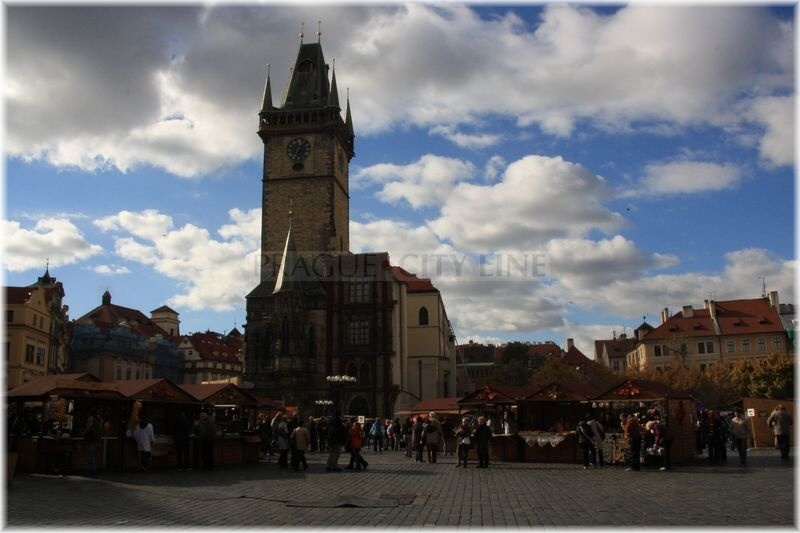 Jagellonský) there were frequent disturbances initiated by the Prague citizens. People did not hesitate and took fate into their own hands. It was a consequence of the argument between the Protestants and Catholics who should be more dominant in the city. People arranged a violent revolution during which they broke into the town halls and defenestrated portreeves and members of the town council. 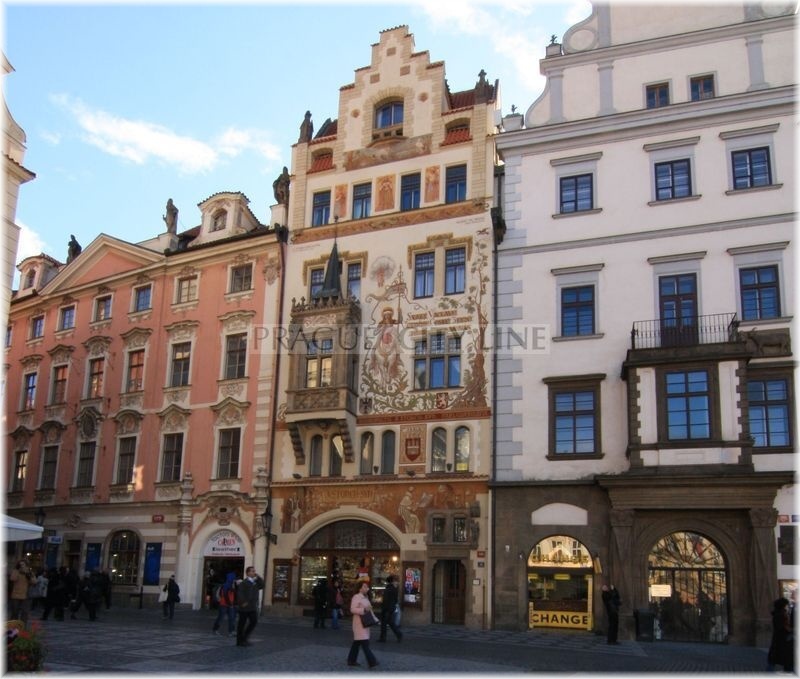 These events also affected Staroměstská radnice (Old Town Hall) where there was majority of the Catholic members of the town council. 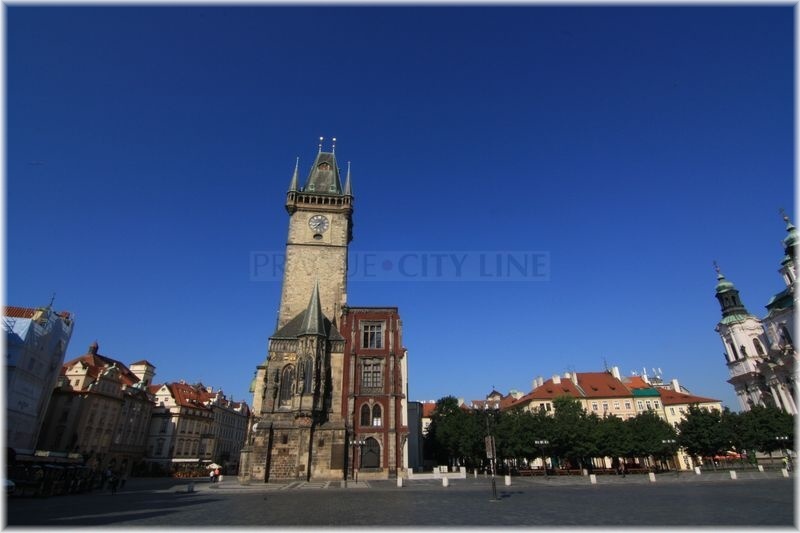 On September 25th, at night, the Protestants broke into Staroměstská radnice where they injured the burgomaster Jan z Klobouků and consequently defenestrated him from the town hall´s window down the street. 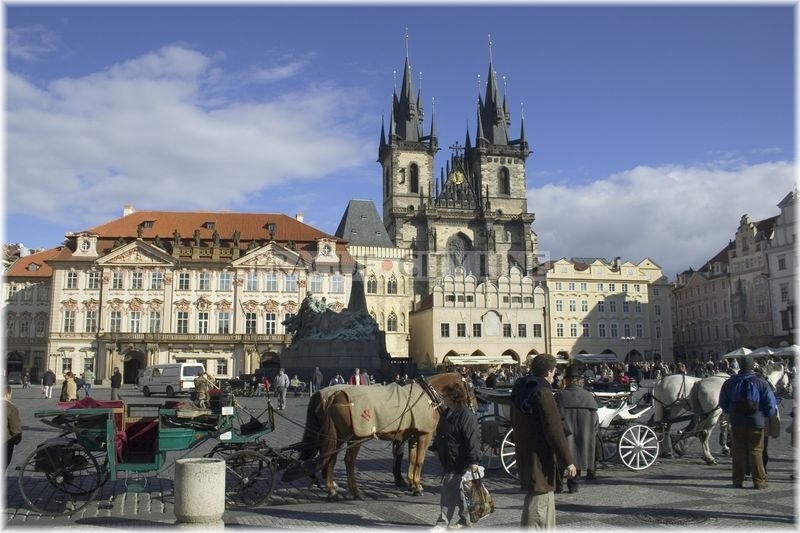 Rebellion of the Bohemian Estates against the Habsburg supremacy took place in the period 1618 – 1620. The Estates were in the history represented by certain groups of inhabitants such as the nobles that gradually managed to gain share in the land´s government. This conflict between the monarch and the aristocracy resulted in extensive disturbances and military clashes. The estates were defeated on November 8th, 1620 in the Battle of White Mountain. 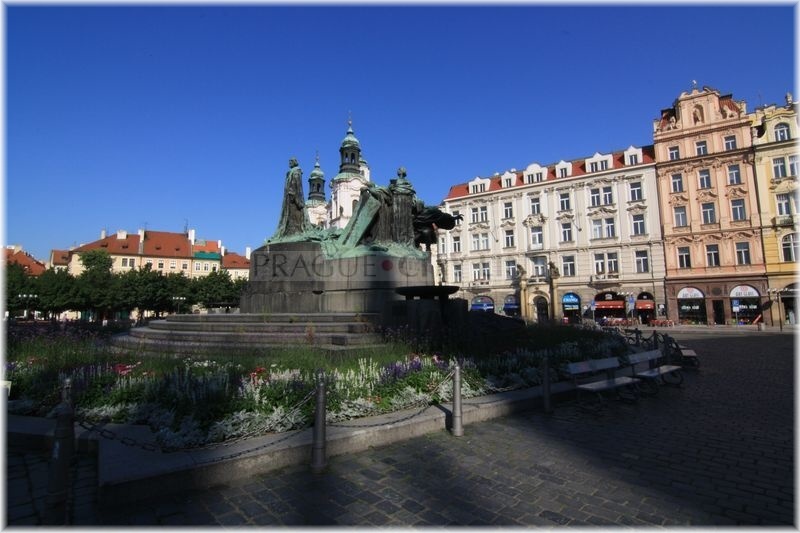 In order to prove his victory and to warn the potential rebels the monarch consequently got the twenty-seven leaders of the Prague rebellion executed on Staroměstské náměstí. 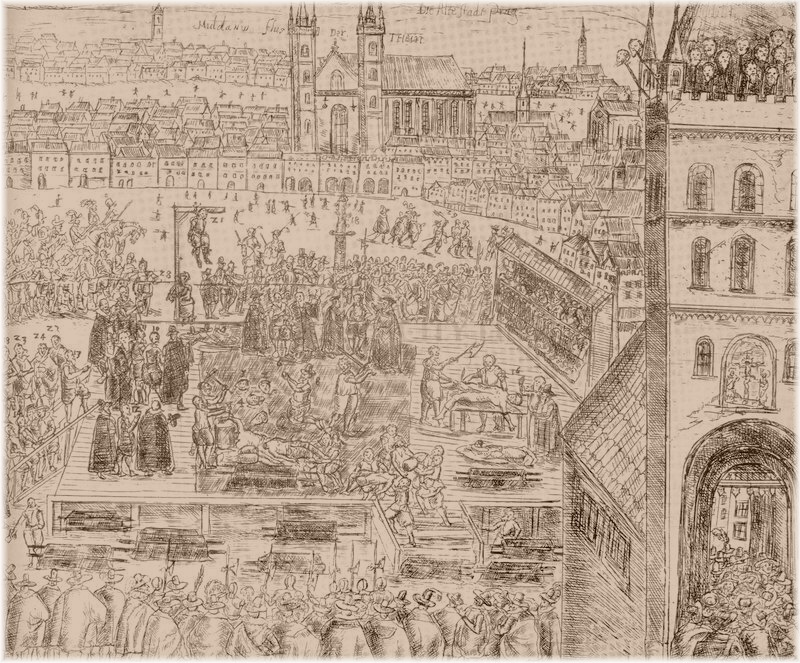 Jáchym Ondřej Šlik, Václav Budovec z Budova, Kryštof Harant z Polžic a Bezdružic, Diviš Černín z Chudenic, Ján Jesenský z Jesenova and others were executed in front of the Old Town Hall. 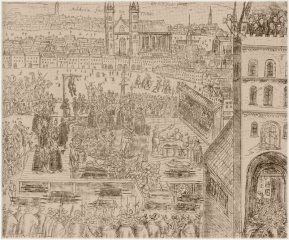 The execution took place on June 1st, 1621. 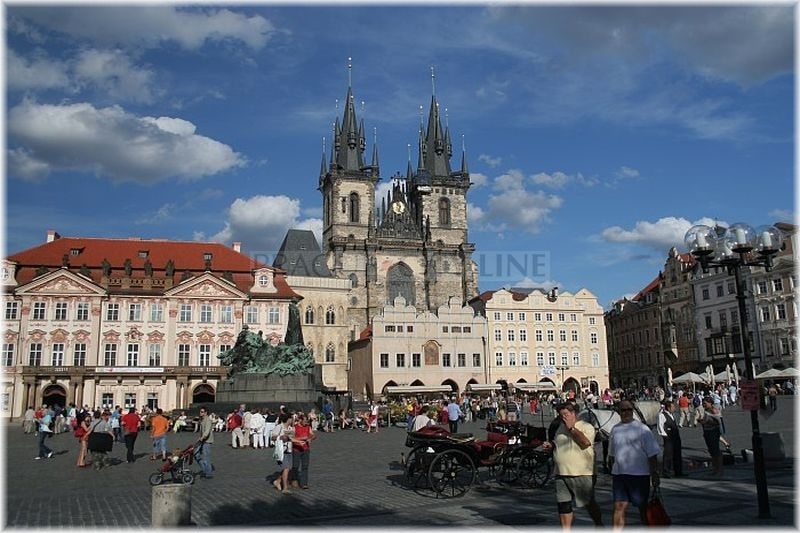 It was carried out by the executioner Jan Mydlář who beheaded the convicts with a sword. For this occasion he had four swords ready, each of them was afterwards furnished with the names of the executed men. 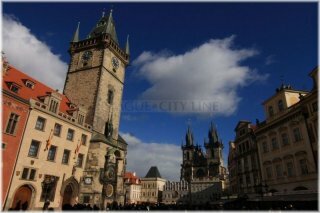 The bodies of the executed ones were consequently handed over to their families, however the twelve heads were displayed on Staroměstská mostecká věž (Old Town Bridge Tower) as a public warning. They remained there until 1631. But let´s return on Staroměstské náměstí(english: Old Town Square). 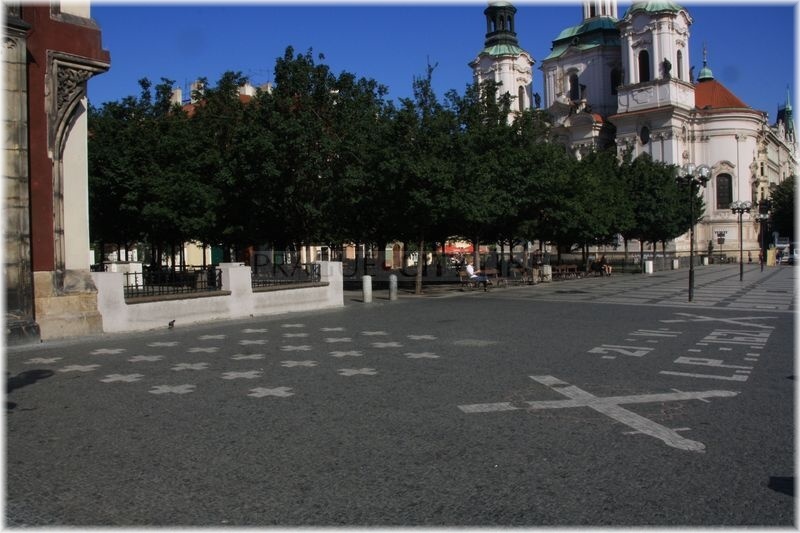 The place of execution is commemorated by the cobble stones in the shape of twenty-seven white crosses located close to Staroměstská radnice(english: Old Town Hall). 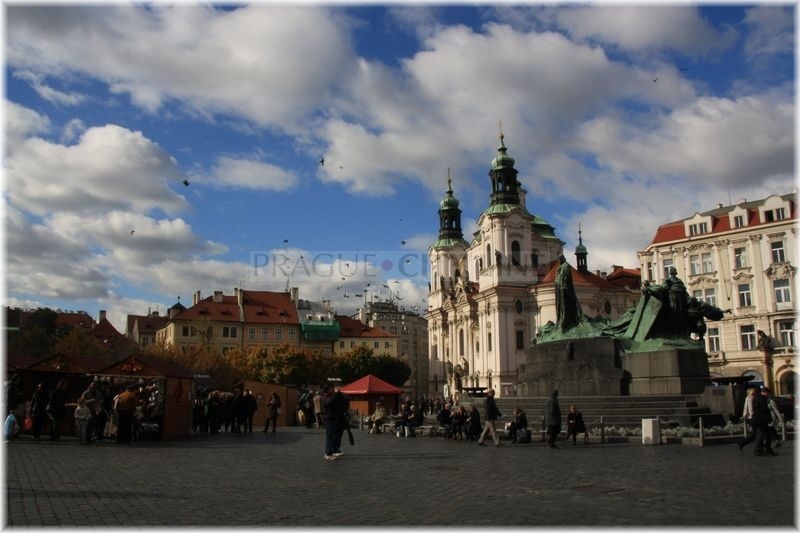 So you can get the idea what it looked like on Staroměstské náměstí (english: Old Town Square) in 1621, and where the exact place of execution was situated.